order to bring heavy objects securely to the surface. manual or the DVD even if you donât want to sign up for the course. 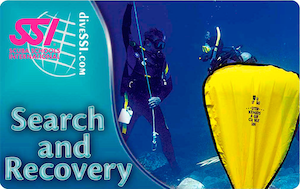 Combine other specialties while taking the SEARCH AND RECOVERY course!